Mitski’s last two albums, Bury Me at Makeout Creek and Puberty 2, took her from an artist whose name was known and discussed mostly within small indie circles into one of critical acclaim and popularity with her lyrical directness complemented by raw, straightforward guitar-led instrumentals. 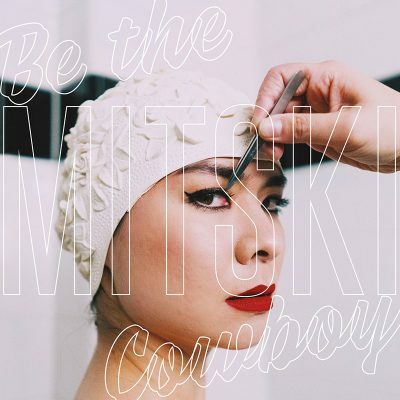 Her new album, Be The Cowboy, takes risks in moving beyond the sound that catapulted her career to new heights but, in doing so, feels like Mitski’s coming-out as a full-force pop star. This isn’t to say that all of what everyone loved about Mitski is gone—the elements of rock are still there. The opening track, “Geyser,” explodes with a low, grungy rhythmic guitar that broods under the ascending synthesizers. Songs like “A Pearl” feature guitar crescendos that fans will find familiar but add some much welcomed horns and a more polished production value that wasn’t really present on Mitski’s last two projects. Where Be The Cowboy shines most is in the moments where Mitski plays with sounds that she’s never used before or where she returns to influences that fans of her last two albums may be unaware she had in her previous work. Mitski’s first full-length, Lush, was a Fiona Apple-like piano pop record, and that influence seeps through in a magnificent way on “Me and My Husband.” “Lonesome Love” feels like a lost Angel Olsen B-side (in a good way, I promise), and the song “Nobody” is a straight-up 1970’s dance ballad that is about as infectious and emotionally poignant as a song of that genre can get. And even more than the sonic growth, what makes this album so great is how effectively emotional the songs still are. Mitski has, incredibly, not sacrificed the personal nature of her songwriting for the new pop sheen. For this album, Mitski was influenced by fiction and narrative, and tried to write with some of those influences in mind. While this is certainly not a concept album or an album that follows a narrative with characters and story arcs, Be The Cowboy displays a woman grappling for control and finding herself unravelling emotionally in a world that’s both uncomfortable with women in control and condescending to women who express themselves when they feel like they’re losing control. Mitski does a masterful job of painting this picture.